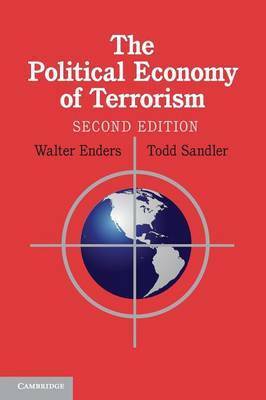 The Political Economy of Terrorism presents a widely accessible political economy approach to the study of terrorism. It applies economic methodology - theoretical and empirical - combined with political analysis and realities to the study of domestic and transnational terrorism. In so doing, the book provides both a qualitative and quantitative investigation of terrorism in a balanced up-to-date presentation that informs students, policy makers, researchers and the general reader of the current state of knowledge. Included are historical aspects, a discussion of watershed events, the rise of modern-day terrorism, examination of current trends, the dilemma of liberal democracies, evaluation of counterterrorism, analysis of hostage incidents and much more. The new edition expands coverage of every chapter, adds a new chapter on terrorist network structures and organization, accounts for changes in the Department of Homeland Security and the USA Patriot Act and insurance against terrorism. Rational-actor models of terrorist and government behavior and game-theoretic analysis are presented for readers with no prior theoretical training. Where relevant, the authors display graphs using data from International Terrorism: Attributes of Terrorist Events (ITERATE), the Global Terrorism Database (GTD), and other public-access data sets.